We often see teeth that have suffered a catastrophic loss of tooth structure, whether that be from tooth decay, part of the tooth fracturing or heavy wear from grinding or clenching. For these compromised teeth, the ideal treatment is a porcelain crown or in some cases a metallic crown may be recommended. Porcelain crowns are durable, comfortable and aesthetic restorations that reinforce and strengthen these otherwise weakened teeth. They are designed to last many years in excellent function and we endeavour to properly educate you in the way to best care for your crown and bridgework. 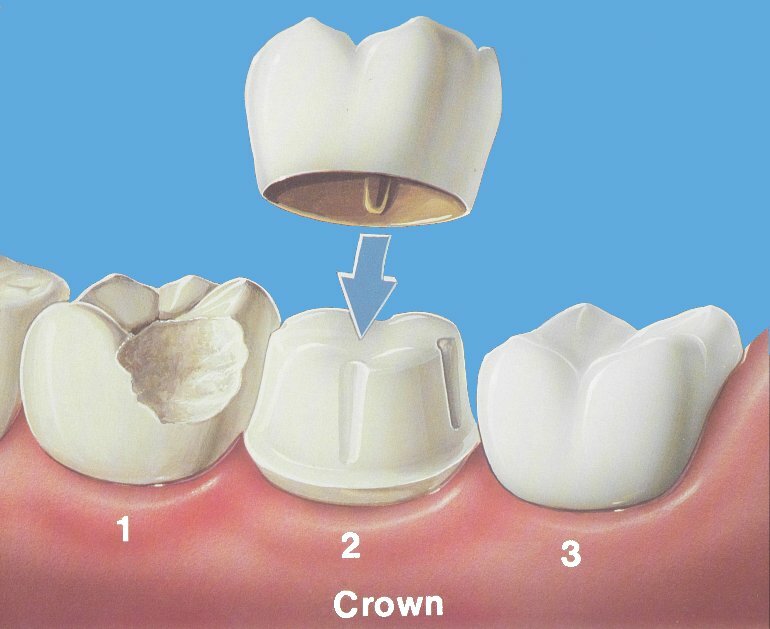 These porcelain crowns are constructed over two visits which are two weeks apart, during which time a temporary crown is fitted to your tooth. Here at Fenton Dental, we only use local lab work in Australia and will never send any of our labwork overseas. This results in custom-made crowns of the highest quality.